A Japanese pop rock band. AKA, “Suta Revi”, or “SDR”. The name stardust revue comes from the standard jazz number “Stardust” and the desire to revue the group’s musical diversity. On May 25th, 1981, debuted with the album “STARDUST REVUE” and the single “Sugar wa Otoshigoro”. They gained popularity with their 5th single “Yume Densetsu” which was featured as the commercial song for Calpis in 1984. From the mid-1980s, “Stay My Blue –Kimi ga Koishikute-“ (1988), “Be My Lady” (1989), and “Natsu no Silhouette” (1989) were featured as commercial songs. In 2001, transferred to OAK RECORDS, and released the album “Style”. In 2003, released the title “Heaven” which, like “Style” was also produced by Akira Kumagai. In 2005, transferred to Imperial Records, with the release of the self-cover single “Mokuren no Namida 〜acoustic〜” being the last release from OAK RECORDS. 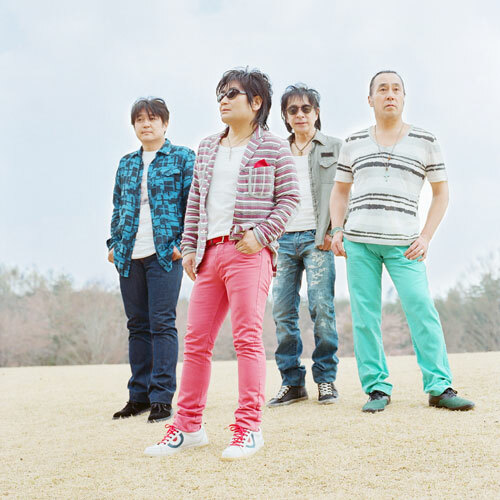 In January, 2006, released the single “Inochi no Kotae”. In May of the same year, released their 25th anniversary album “HOT MENU”. On May 19th,2012, held a 6 hour live show at Saitama Super Arena “STARDUST TEVUE 30TH Anniversary All Cast de Dai Shaonkai ～5Jikan Teido Mattarito～ Omiyage Tsuki”.